Thanks to everyone at OBR and to all who came out to support the exhibit of twenty new aerosol on birch panel works. 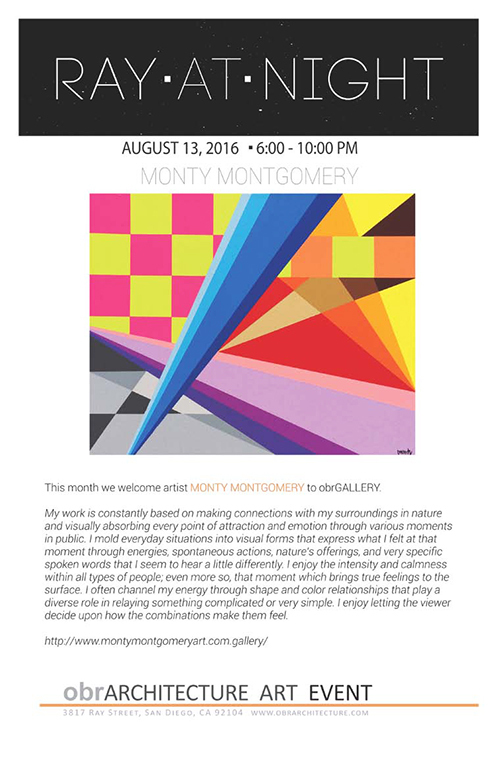 The solo exhibition opened during “Ray at Night” on Saturday, August 13, 2016 6 to 10 pm and ran through September 7, 2016. OBR continues to showcase artists every month so pop in and check out the current works. OBR is located in the heart of North Park at 817 Ray St, San Diego, CA 92104.